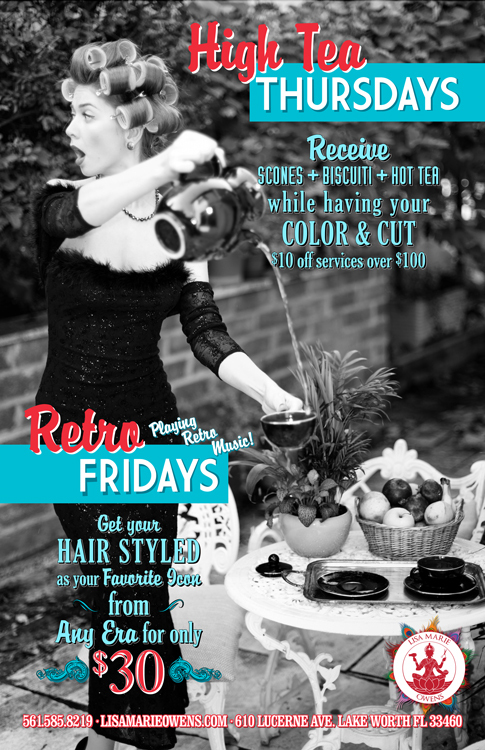 High Tea Thursdays and Retro Fridays at the Salon. Join us every Thursday for HIGH TEA THURSDAYS. Enjoy our selection of teas, scones, and biscuits while your hair is cut and colored. Receive $10 off services over $100. Get ready for the weekend with RETRO FRIDAYS! Get your hair styled as your favorite icon from any era for only $30! We’ll be playing retro music all day!